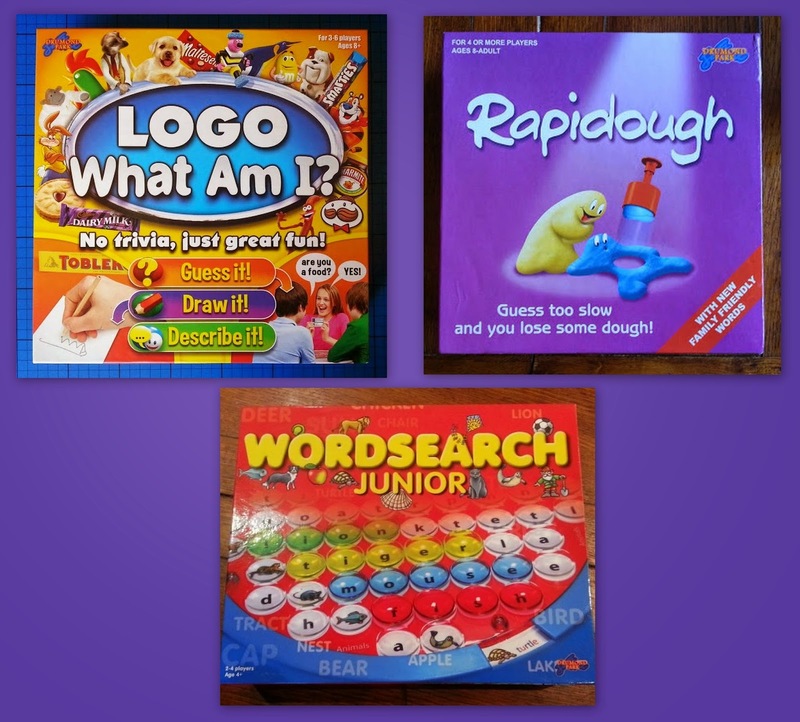 We love board games here at The Brick Castle, and today I am delighted to be able to tell you that Drumond Park have kindly offered a fabulous bundle of games as a prize for one of my readers. Added together these games would cost you over £70, and keep your family entertained all Summer if the sunshine lets us down. LOGO What Am I? (rrp £24.99) is a junior version of LOGO that is suitable for 3-6 players and age 8+. Gameplay is around a board, with players taking turns to throw a dice and then complete a challenge shown on the corresponding card. The aim is to havethe other players guess what you are describing or drawing. 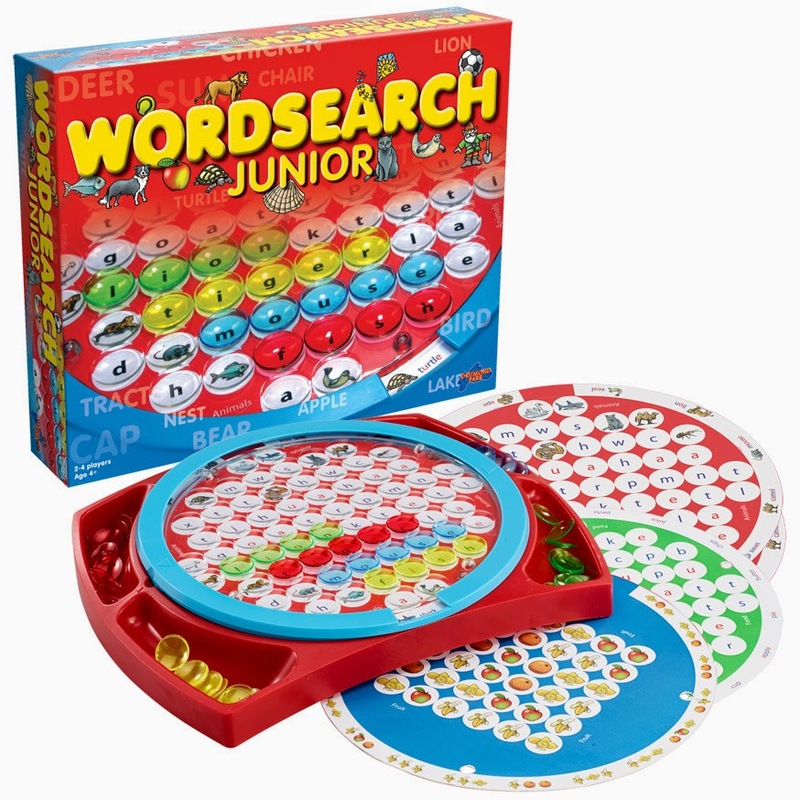 Wordsearch Junior (rrp £18.99) is a picture and word game that is suitable for 1-4 players aged 4+. It's great way to encourage your children to spot patterns and words, and can even be played before your child can read, using the picture cards. When a player is the first to spot the revealed word or pattern then they can cover the corresponding letters or pictures with their counters, even replacing an opponents previous counters if necessary. The winner is the person who has most counters on the board when all of the words or patterns have been covered. If someone runs out of counters then they instantly win and the game is over. 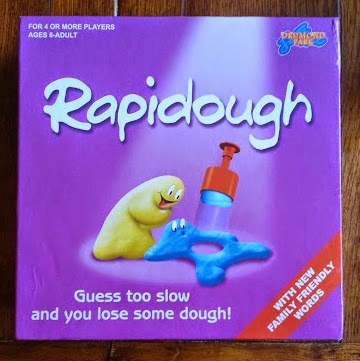 Rapidough (rrp £29.99) is suitable for age 8+ and 4 or more players. 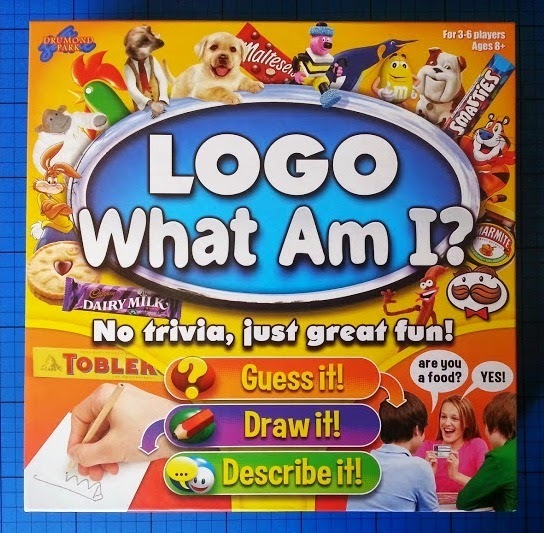 Unlike the other two family games it isn't based around a board and is even more creative than the drawing you will do with LOGO What Am I?, as it uses dough to create the clues your team members need to guess the hidden words. Great fun for everyone, whatever age. All 3 games are available from all good stockists. You can find out more about the entire range of Drumond Park Games on their website... and all of my game reviews are shown on my Toy Reviews Page. To enter the giveaway please use the Gleam form below. For help and advice entering if you've not used Gleam before, and to see all of my giveaways please see my Giveaways Page. The giveaway is open to UK entrants only, and will end at midnight on Friday 15th May. For terms and conditions please see the bottom of the Gleam form. I love playing scrabble with my little ones as they can all join in but I love to play Monopoly with adults! Megan would love the wordsearch game! Guess Who and connect four are still my favourites. Mouse trap! we love this game! Monopoly, I love to win though! I love playing scrabble as it really gets you thinking, thanks for the lovely giveaway. I love home games that help the family connect and engage! Very important! We love Pig Goes Pop at the moment! Monopoly, I am always the little silver dog! With the boys its Pop up Pirate, Pop to the Shops, Tummy Ache and Buckaroo, with grown ups I like Scrabble. we love playing monopoly its always such a fun game to play. Scrabble - though I tend to play most on the internet. See you on isc.ro! I like Logo as I am good at it! we love playing gooey louie! My favourite is Cluedo, but I always get outvoted as the favourite in our household is Monopoly! Phase 24 or Yahtzee are both simple to play, yet fun for adults. Snakes and ladders is our favourite. With the kids it's pig goes pop as even the 2 year old can join in, but a grown up game I do love a game of scrabble! We love Articulate, always ends up with some hilarious answers! We all enjoy Chess in our house! monopoly but my ten year old always wins! Game of life. The kids love it. I like Monopoly, my dad used to play it with me every sunday. He died when I was 10 and I would give anything to play with him again. We played a lot of board games. Now I play buckaroo and stuff like that with my son. A Super DC Super Hero Day!